 People: To say that I was excited about interning with Fair Harbor this summer is putting it mildly…I am from a Wellesley, Massachusetts family that is all about reducing our carbon footprint and being near the ocean whenever we can. The ideals behind Fair Harbor - sustainability, clean living, and having a positive impact on the world - exactly match my own, and I am incredibly stoked to be a part of this awesome enterprise - Sea’s the Day! Plates: Whenever possible, I try and eat as healthy as I can - vegetables, fruit smoothies, cutting back on red meat, and most importantly, not wasting anything. My favorite food is pasta, in any form. Spaghetti Bolognese will forever remind me of home, though my favorite thing to do now is grill up some chicken sausages, slice them up, then pour marinara and parmesan on top and then mix in any form of pasta (so good). A great summer meal that my family loves to cook up is lemon chicken on the grill with bell peppers, onions, and corn (all grilled). That on top of some rice pilaf is a staple in my home. Meanwhile, beach food consists of cold cut turkey sandwiches, without fail. Places: Much like Fair Harbor is for Jake and Caroline, the island of Nantucket is my favorite place on Earth, and it lies at the heart of my passion for the ocean and my surfer’s mentality. I’ve been summering there my entire life and the barefoot-boardshort lifestyle has become second nature. Whenever possible, my brother and I load our old beat-up Explorer with our boards and go surf for hours at a time. After a quick shower and a rest, typically we will have a beach barbecue and cookout with everyone from our tiny community of family and friends (who are basically family anyway) until the moon rises over the ocean. I have been surfing all over the world as well, including Hawaii, Costa Rica, California, and the Telo Islands in Sumatra, Indonesia. Projects: In high school, I was the founder and leader of the Marine Conservation Club, which aimed to make issues facing the environment and our oceans more prevalent. I did my best to spread awareness and attempted to get students to reduce the use of plastic disposable bottles and other harmful products. Plastic: Much like Caroline and Jake, I was disturbed by the amount of plastic washing up on Nantucket’s beaches in the last decade. I committed to reducing my use of plastic whenever possible, avoiding disposables, styrofoam, etc., and this applies to my family as well. If you actively avoid it, it is very easy to live without having to use plastic.